This has been a winter punctuated by many waves of snow, sleet and ice. None of them lasts long but each one has been a source of worry. I go out and check our "mystery tree," which is close to 100 years old. 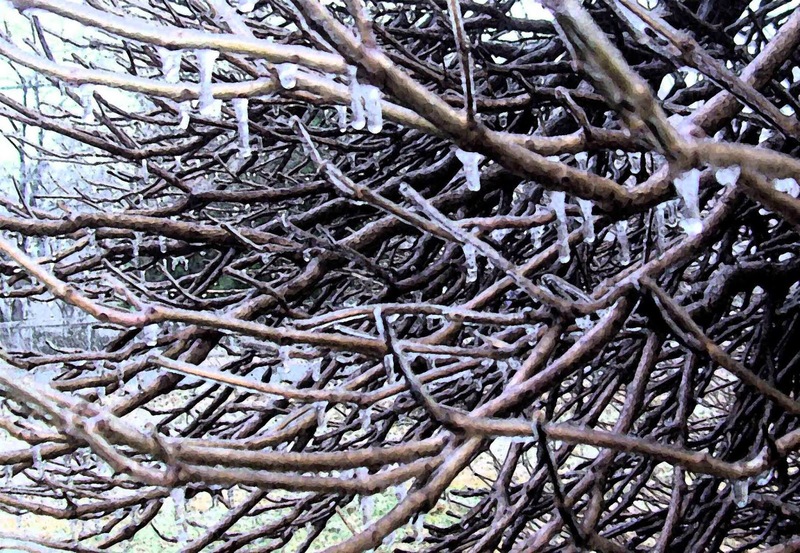 It is some sort of horizontally-branching catalpa that collects the ice or snow. 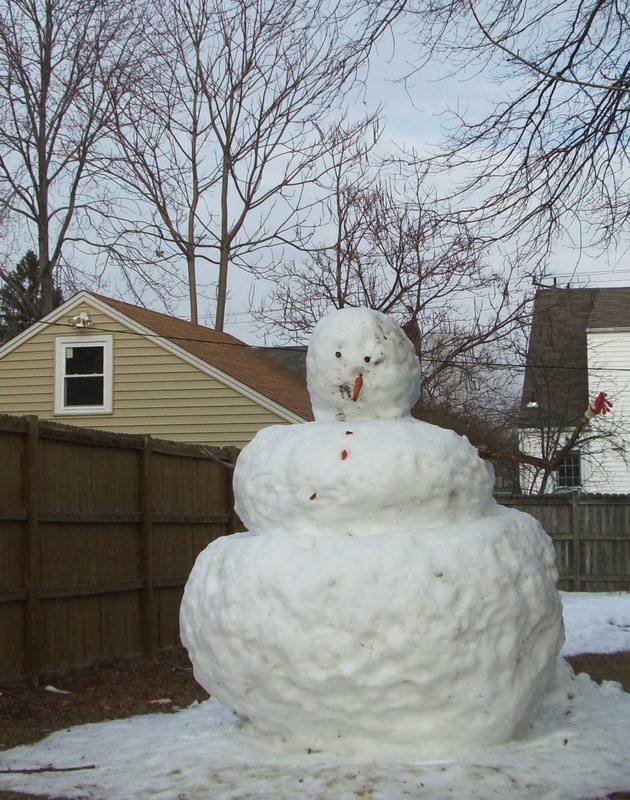 A few years ago, a large limb cracked and tore away under the weight of a heavy, wet snow. So I check my old friend and see that the ice is already melting. Relieved, I take a few minutes to admire the way the disappearing ice shimmers on the tangled network of browns and blacks. Then a breeze sends an icy shower of drops into my face. Time to go inside.